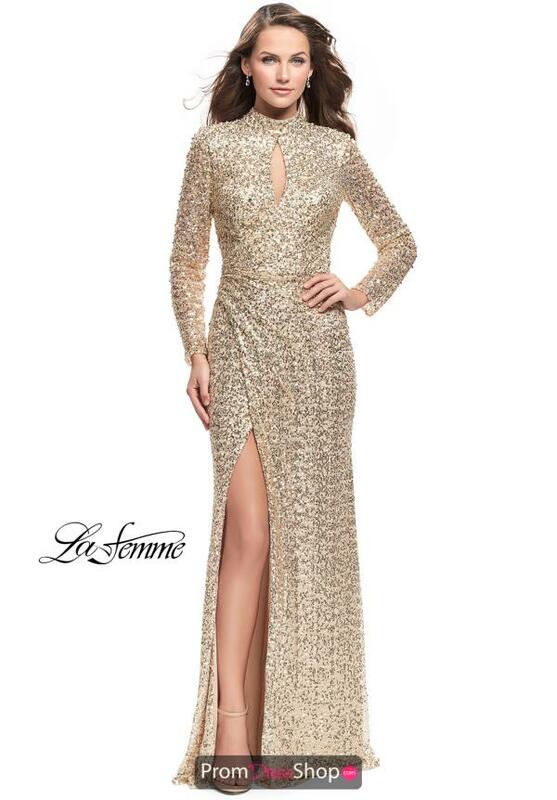 Be the one to remember in this exquisite La Femme dress. 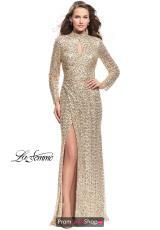 Style 26263 showcases a high neckline featuring exclusive detailed long sleeves as well as a keyhole cutout along the bodice. The fit and flare silhouette shows off a wrap style skirt that accentuates your waist and is completed with a daring slit.